This year the Brethren in Christ Historical Society will hold its annual meeting on October 3 at the Ashland (Ohio) Brethren in Christ Church, beginning at 5:00 p.m. The Society will meet in conjunction with a larger event, “Honoring the Life and Legacy of Dr. Luke Keefer, Jr.” at Ashland Theological Seminary, October 2-3. The event will celebrate the publication of a festschrift in honor of Luke. The book is published by the Society and edited by Dr. J. Robert Douglass and Dr. Wyndy Corbin Reuschling, both of whom were colleagues of Luke’s at Ashland Seminary. 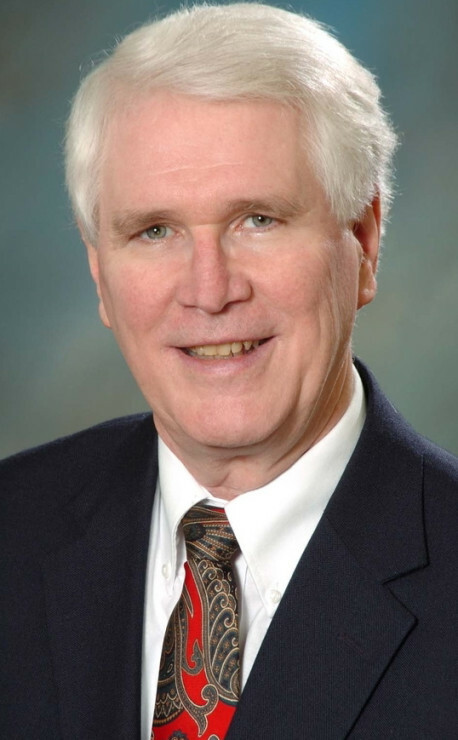 The book, entitled Celebrations and Convictions: Honoring the Life and Legacy of Dr. Luke L. Keefer, Jr., will be celebrated at the Society’s annual meeting. It contains a brief biography of Luke and essays on topics related to Luke’s particular interests, including the Brethren in Christ theological synthesis, spiritual formation, missions, women in ministry, Scripture, pacifism and nonviolence, and Christian ethical commitments. Some essays are written by Luke’s colleagues at Ashland, while others are by Brethren in Christ authors. The annual meeting program will feature comments by the festschrift editors as well as a panel discussion among festschrift contributors reflecting on their relationship to Luke and how it shaped their contribution to the book. A meal will precede the program. Pre-registration is needed for the meeting. The cost is $15 per person. To register, send a check payable to the Brethren in Christ Historical Society to Glen Pierce, Brethren in Christ Historical Society, One College Ave., Suite 3002, Mechanicsburg, PA 17055. In the fall 2014 issue of the Historical Society newsletter, we published what was thought to be a photograph of the Jesse Engle family. 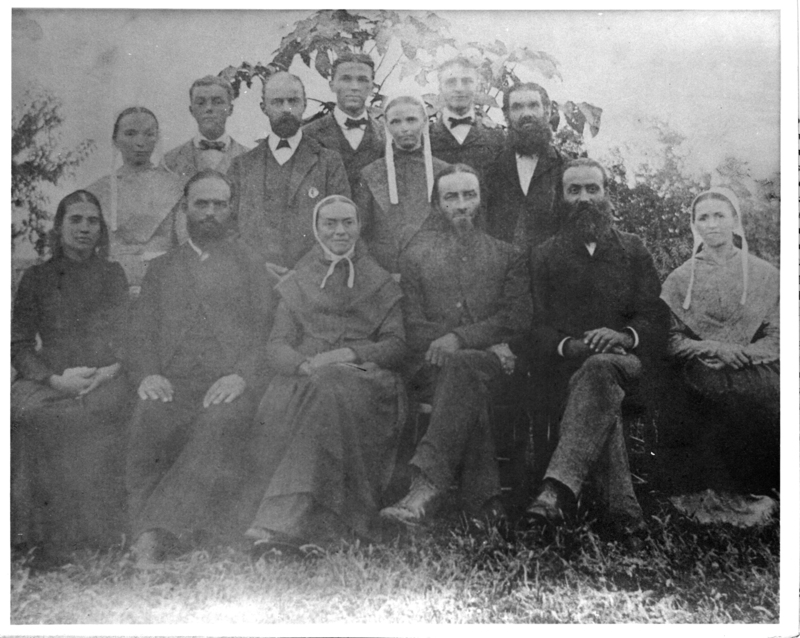 As many Society members know, Engle was the leader of the five-member pioneer team of Brethren in Christ foreign missionaries to then-Southern Rhodesiam(present-day Zimbabwe) in 1897. We hoped that a newsletter reader would be able to identify and confirm that it, in fact, did show the Engle family. In January 2015, member Rhoda (Sider) Heise of Kansas called the editor to say that the image did in fact depict the Engle family. However, she also said that the image was taken sometime after Jesse died in Africa in 1900 (having arrived in Southern Rhodesia only two years earlier). After identifying the persons in the photograph, Rhoda reported that she and her husband Austin took the photograph to California about a decade ago, and left it at the bishop’s office in Upland. Another mystery in the Archives has been solved! 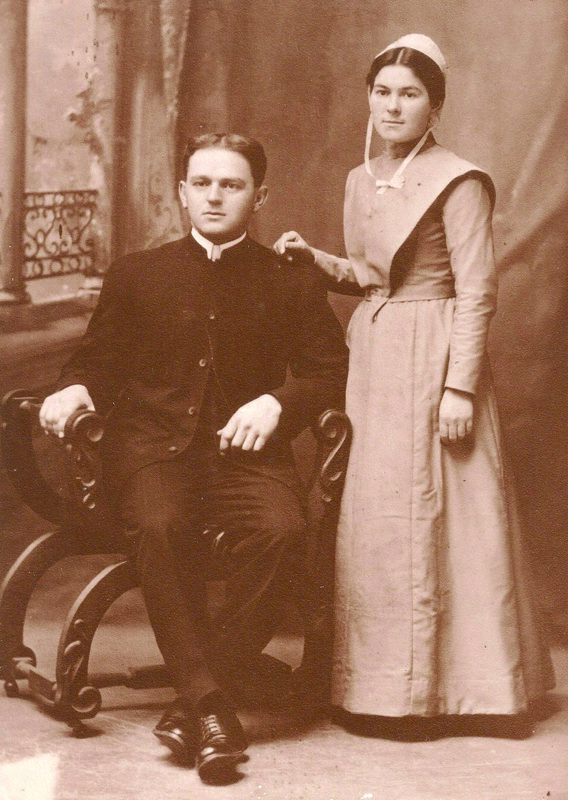 But we have heard rumors that a photograph exists of Jesse and Elizabeth Engle before they left for Africa in 1897. If anyone knows if such a photograph exists and where it is, please contact the Archives at [email protected]. Apparently, a photo of Jesse and Elizabeth Engle is a highly sought after commodity; not only would the Archives like a copy, but we’ve also heard that the Zimbabwe church would like to add to its photo archives. I never knew my Grandpa Jesse Sider, who lived his entire life in Wainfleet, On. He passed away on June 21, 1948, less than two months after I was born on the other side of the world. Of course, my dad talked about him some, but I learned a lot more about the man I never knew from reading some letters to my dad that I found recently. They are short with maddeningly few details, but they return to the same themes almost every time. Interest and concern about his oldest son and family: Grandpa’s letters indicate that he prayed regularly for my dad and supported him in his missionary service, first in Saskatchewan and then in Africa. March 24, 1944: We received your letter a few days ago….We suppose that it will be quite a change for you to be left alone, especially when there are no other ministers near. March 11, 1946: It will be nice to see you all again. This life brings many separations but God’s way is always best and we would not want to change it. April 10, 1947: We received a letter from you lately also one from Walter Winger…. Walter says that if you folks keep on as good as you have started that he thinks you will be alright [referring to their first missionary assignments in Rhodesia]. Farm life: Reading Grandpa Sider’s letters reminds me of the difficult life of small farmers. July 20, 1994: I rode the binder to cut the 19½ acres of wheat although I was at it on four different days. July 19, 1945: We have our haying pretty well along…. Our wheat is good, about ripe…. We sowed oats on Mar 30 and forepart of April but had a lot of rain after that. October 31, 1945: We have had a very wet time since about the middle of September. Our buckwheat and a great many other people’s is not cut yet. April 10, 1947: We have had a late cool spring but the wheat is turning green now. Church life: Grandpa’s letters are also filled with the names of relatives and church members, and the revival meetings and Bible conferences he attended. January 31, 1944: Grace [daughter] was home only once since Christmas, a week ago last Thursday while our revival was on…. We had fairly good results the latter part of the meeting. Quite a number of the S. S. children were saved. March 24, 1944: We are planning for our Bible conference tomorrow, and then special services all next week. Bro Henry Schneider is to be the evangelist. Uncle Ernie [E. J. Swalm] and Charlie Byers are to be the other speakers…..
July 20, 1944: I have been going to the camp every evening…. We are getting some rich holiness teaching. March 11, 1947: George Sider has had a rather hard time, lost his cows [by disease] and house by fire this winter. His health: In 1942, Grandpa was in poor health ever since his barn was struck by lightning while he was in it milking the cow. July 20, 1944: It is a long time since I have written to you but as I was not feeling well…. I started with the stomach flu about the 24th of May and have not entirely recovered from it yet. October 31, 1945: I’m not able to do very much work now but my heart is some better. May 4, 1946, note added by Grandma Ada: Papa is not holding his own very good. Getting some weaker. Paralysis in both hands..
January 11, 1947, note added by Grandma Ada: Papa went to church this morning, but he hasn’t been very good…. March 11, 1947: Have not been very well lately but am still hoping God will answer. July 20, 1947, letter written by Grandma Ada: Papa did his best to write a bit, not very strong this morning. Stomach bothering him lately. Appetite not very good. 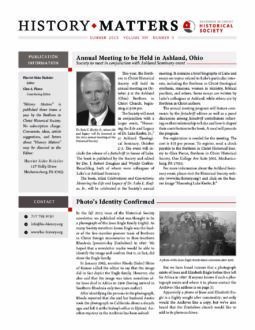 Recently Herald Press and Mennonite Central Committee (MCC) partnered in the publication of My Calling to Fulfill: The Orie O. Miller Story, by John E. Sharp. Of particular interest to Brethren in Christ readers is Miller’s pivotal role in molding MCC in its early years into the well-respected international relief and development agency Brethren in Christ and Mennonite churches in Canada and the United States. Historical Society Editor Emeritus, E. Morris Sider, represented the Brethren in Christ as a member of the editorial board for the book. My Calling to Fulfill is available from Menno Media at www.mennomedia.org or by calling 1-800-245-7894. It is actually far more likely that historic materials will “go missing” if kept locally or in homes. A new church secretary may decide there is no reason for those musty old records. Or a family member may decide that “these aren’t our family records” and toss them out, or put them in a damp basement or dusty attic. Some congregations have very done well in placing their historical re- cords in the Archives, and their faithful work pays off when many years later they find useful information (including historic photographs) when the time comes for anniversary observances or other celebrations. Other congrega- tions have done quite poorly, to the extent that the Archives may have only one or two folders of material for congregations that have been in existence for fifty years or more. My response read, in part, “We have a very small collection of materials from [the congregation’s name], includ- ing a congregational directory for the year 1977 that shows your address. . . . And we have a few monthly reports that the pastor sent to the regional conference bishop in which the pastor indicated the number of baptisms, but unfortunately not the names of persons baptized. . . . [We] checked with a couple of the former pastoral cou- ples and one thought they remembered a book which was a register of baptisms and church memberships. Unfortunately, we do not have that book in the Archives. Sadly, a number of congregations have not sent those historical records to the Archives for safekeeping.” The Archives regularly receives these types of research requests. Morris N. Sherk is researching the history of Morrison Cove District, a Brethren in Christ district that existed in Bedford and Blair Counties in Pennsylvania before regional conferences were formed. Recently, he learned of two individuals by the name of Jacob Snively (father and son), both of whom are identified as River Brethren ministers in Morrison Cove. The father died in 1829 and the son in 1860. 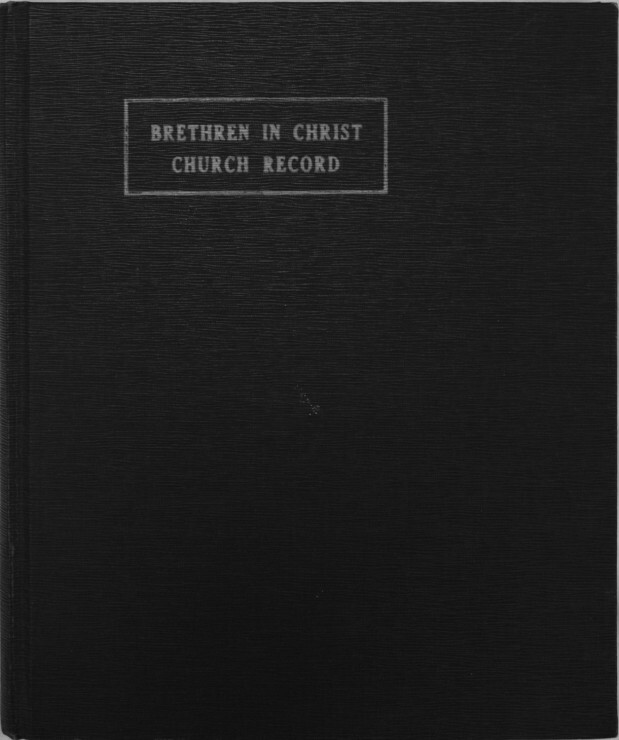 The first Brethren in Christ Directory listing the names of church officials and members was published in 1880. If you have any information about individuals who served as ministers or deacons in Morrison Cove who died before 1880, Morris would appreciate receiving that information. You can contact him by email at [email protected]. With major sponsorship by Paul Martin, Sr., the Living Hope Gospel Campaign staff bought “a large fireproof tent…with seating for approximately 1,200 people. 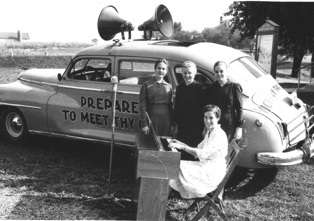 They also purchased two modern house trailers (one for the evangelist and his family, one for the song leader and his family), an electric and sound system, 1,000 steel folding chairs, and an electric Hammond organ.